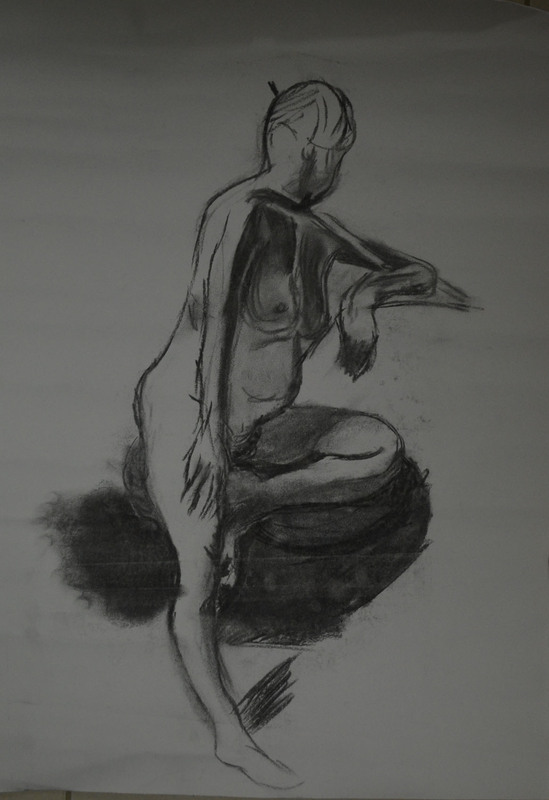 I hadn’t managed to get out to a life drawing class during the drawing figures part of the course due to the unrest here in Bangkok but I wasn’t quitting, prior to going home for my second visit in 15 years last month I had arranged to meet a friend in my hometown Wakefield who would take me to a life drawing class. 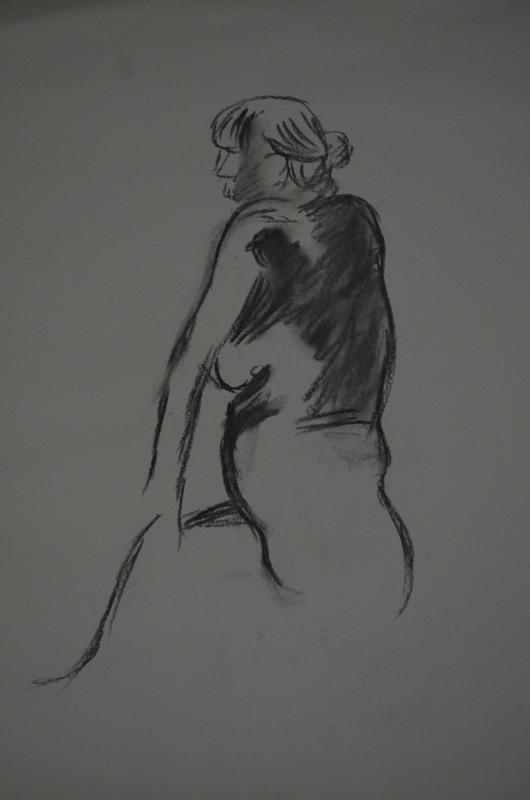 After choosing my medium, soft charcoal I set up my easel for the first pose which was a 15 minute pose. 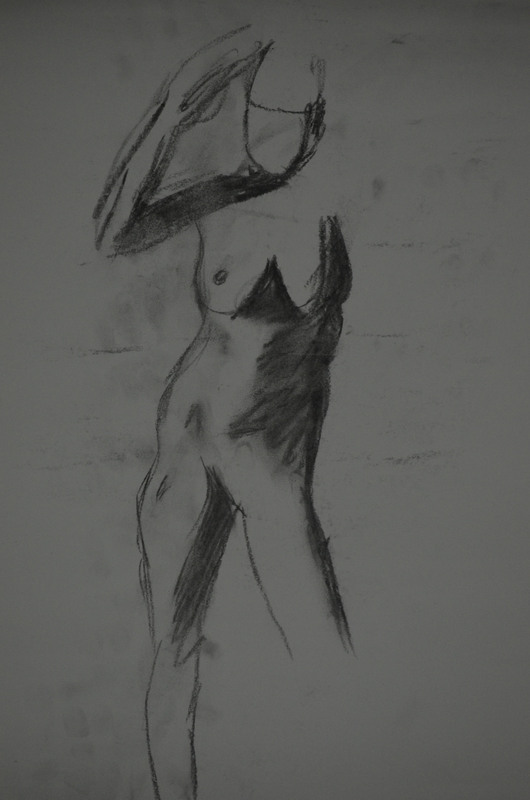 I was quite nervous and very self conscious, it being the first life drawing class I had ever been to and due to this I seemed to forget everything I had learnt and tried to hard to make a picture. On the second pose, the first of three 5 minute poses I was still in 15 minute pose mode and went at it it too slow, what I should have done here is smoother longer lines focusing on the essential shapes and elements. 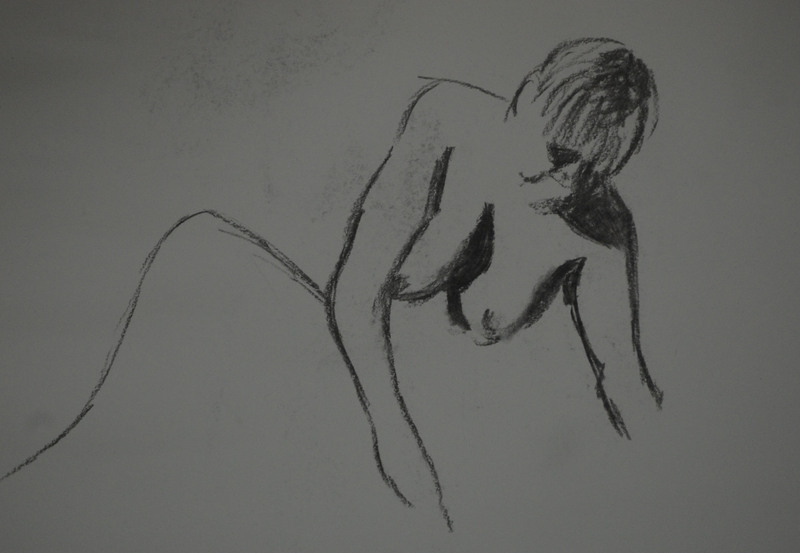 By the third pose I had settled in and was putting most of what I had learned from the figure drawing sections of the course into practise, I was loosening up and you can tell by the drawing I was starting to put some of what I had learned into practise. By the fourth drawing the lines were getting smoother and I was thinking how addictive life drawing could be focusing on the essential elements but still going at it quite slow. 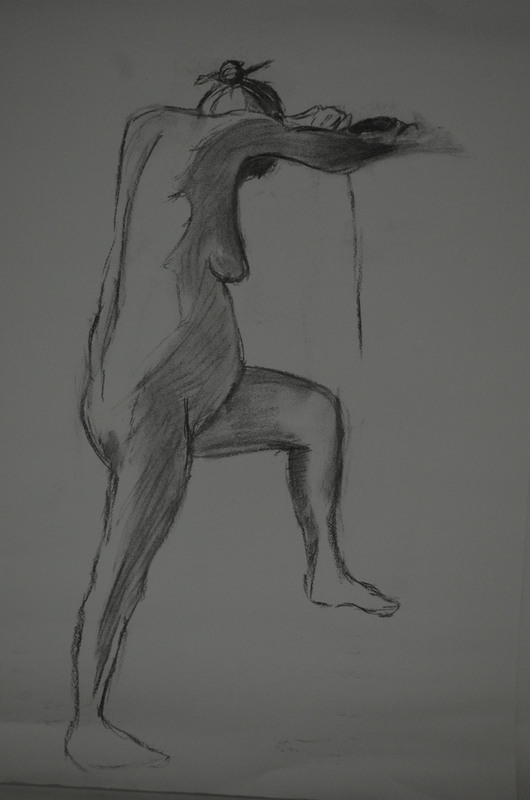 From here it was back to a 15 minute pose and my favourite out of the five drawings, I focuded on all the essential shapes and elements as well as stance and force which I had learnt to do in my earlier gesture drawings but the pose helped. Like most of my figure drawing, the quality of the drawings I produce depends on whether I like a certain pose or not and this also applied in the life drawing class. I will be returning to England next year for good and will hopefully be attending life drawing classes on a regular basis.